Pool Deck Pavers Benefits | Pool Pavers - Tile Tech Inc. Pool deck pavers used in the landscaping of outdoor swimming pool areas can be beneficial to homeowners and users of the pool area. Stone, brick, and concrete are the three main materials used to make these pool pavers. These materials are best for pool paving purposes as they can weather the rigid effects of chlorinated or salt water pools. Some of the positive attributes of these pavers are durability, affordability, easy installation, strength, non-slip surface, wide variety, and can be repaired easily. These are the reasons why people opt to utilize pool deck pavers in the landscaping of pool areas. They can make an amazing effect by enhancing the authenticity and landscaping to the pool surrounds. They also create a great natural atmosphere where everyone can enjoy. 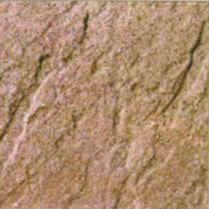 Pool pavers are affordable and are good alternatives to natural stone pool pavers. One can enjoy huge savings especially if a mortar-less installation procedure is implemented in the pool pavers. These pavers are also durable. One must be mindful, however, to choose the correct paver if one has a pool with salt water. One only has to ask for advice from the manufacturer. Pool deck pavers are also durable enough to endure the effects of foot traffic, salt water effects, and water splashing. They are also easy to install, especially if no mortar is used to keep them in place. The installation of these pavers is also easy for do-it-yourself aficionados to follow. 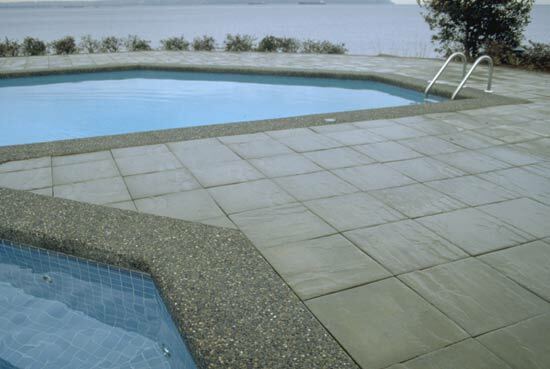 The main advantage of these pool deck pavers is that they are slip-resistant. This quality gives homeowners peace of mind, knowing that users of the pool – especially homeowners with small children – are kept safe and can still enjoy themselves. These pavers can also be easily repaired. One can just remove them and replace them with newer pavers. When it comes to maintenance and repairs, these pavers are very cost-effective. The versatility of these pool deck pavers extends to the wide variety of design possibilities and patterns. These pavers can create looks to suit one’s pool area as they come in different textures, sizes, shapes, and colors. Concrete, brick, and stone are the 3 primary raw materials that pavers are made from. Each of these materials is suited for pool paving applications because they can withstand the constant effects of pool waters. It is important to note however, that stone can meet the exact desired effect of poolside paving because sandstone, limestone, and slate are evergreens, thus their ability to produce a matching effect to garden features is great. One of the key features that pool pavers create is safety. Pavers are made to catch the chosen and desired effect of color and texture of the poolside area, whilst at the same time they endure a high wear and tear resistance, and a non-slip surface that is capable of lasting quite a long time. Hence, this feature of pool pavers is very important because of nature of kids and others to run around and play games on slippery and wet surfaces. These key attributes are the sole basis of why many people chose to use pavers in landscaping poolside areas and creating the nicest possible outcome. Pavers can create a most incredible effect by supplementing the landscaping and authenticity to pool surrounds. Pool Pavers are a very cost-effective alternative to flooring the surrounds of your swimming pool areas. Particularly if a mortar-less method of installation is applied to your Pool Pavers. Pavers around the pool are quite durable, it is important however, to choose the right type of Paver material if you have a salt water pool. Simply consult your manufacturer for advice. The right type of Paver for the pool areas will be strong enough to withstand the effects of water splashing, foot traffic and the effects of salt water. Pavers can be so simple to install around the pool, particularly if you are not using mortar to hold them in place, in this case it is probably easy enough for you to do-it-yourself. The key advantage to Pool Pavers is knowing that they will be slip-resistant, for it is so important to know that your family will be safe when playing around the pool and enjoying themselves. The great thing about Deck Pavers is that they can be so easily repaired, simply by removing and replacing single Pavers. Pavers are very cost-effective when it comes to repairs and maintenance. Pool Pavers are so versatile and the patterns and design possibilities are endless. Pavers can create a range of looks to suite your pool area, for they are available in various colors, textures, shapes and sizes.